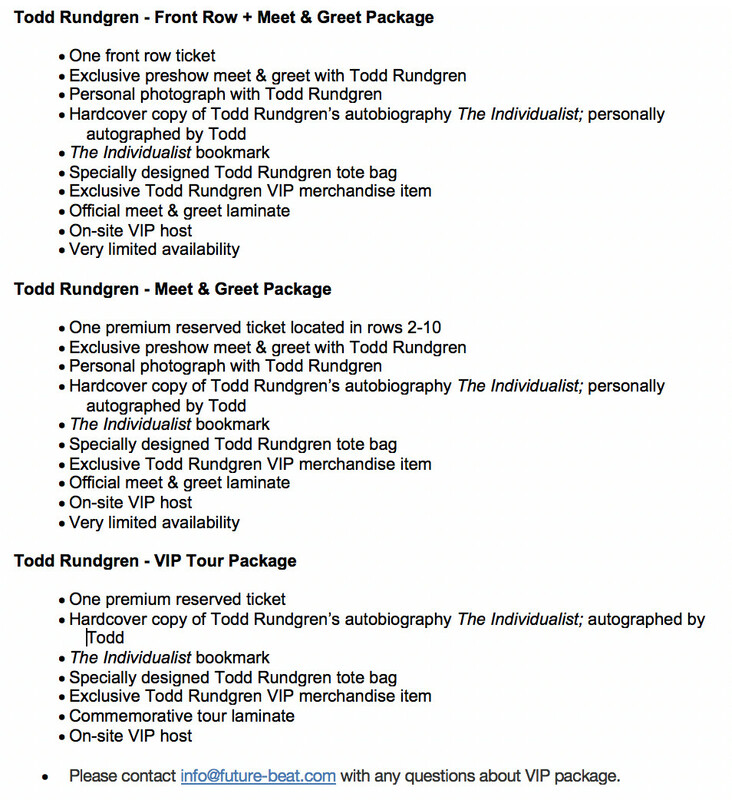 To purchase tickets for both nights of Todd Rundgren - The Individualist Tour on April 19th and April 20th, please visit here. All sales are final and we do not offer refunds or exchanges on tickets or packages. A Wizard, a True Star. The title of Todd Rundgren’s 1973 solo album aptly sums up the contributions of this multifaceted artist to state-of-the-art music. As a songwriter, video pioneer, producer, recording artist, computer software developer, conceptualist, and interactive artist (redesignated TR-i), Rundgren has made a lasting impact on the form and content of popular music. Rundgren’s myriad production projects include albums by Patti Smith, Cheap Trick, the Psychedelic Furs, Meatloaf, and XTC. Rounding out his reputation as rock’s renaissance man, Rundgren composed all the music and lyrics for Joe Papp’s 1989 Off-Broadway production of Joe Orton’s Up Against It(the screenplay was commissioned by the Beatles for what was meant to be their third film). He also has composed the music for the hit film Dumb and Dumber, as well as a number of television series, including Pee Wee’s Playhouse and Crime Story. 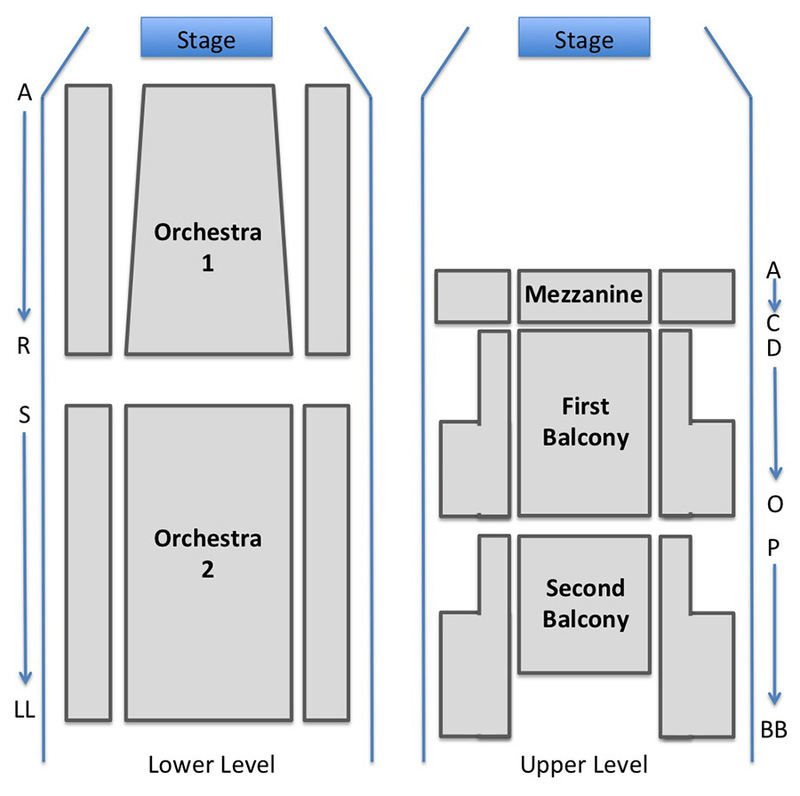 In 2012, Rundgren performed A Wizard a True Star in concert in its entirety for the first time, and last year did the same with a double bill: Todd & Healing. He has toured with Ringo Starr as an erstwhile member of the All-Starr Band since 1989, and continues to perform with symphony orchestras domestically and internationally. His latest studio album, White Knight, was released in May 2018, and this past spring he toured North America with original Utopians Kasim Sulton and Willie Wilcox for the first time in 33 years. His long-awaited autobiography, The Individualist, will be in stores December 21. He embarks on the world’s first hybrid concert/book tour in April/May 2019, highlighting music across his 50-year career. Last year, on successive weekends, he was awarded honorary doctorates from Berklee College of Music and DePauw University.